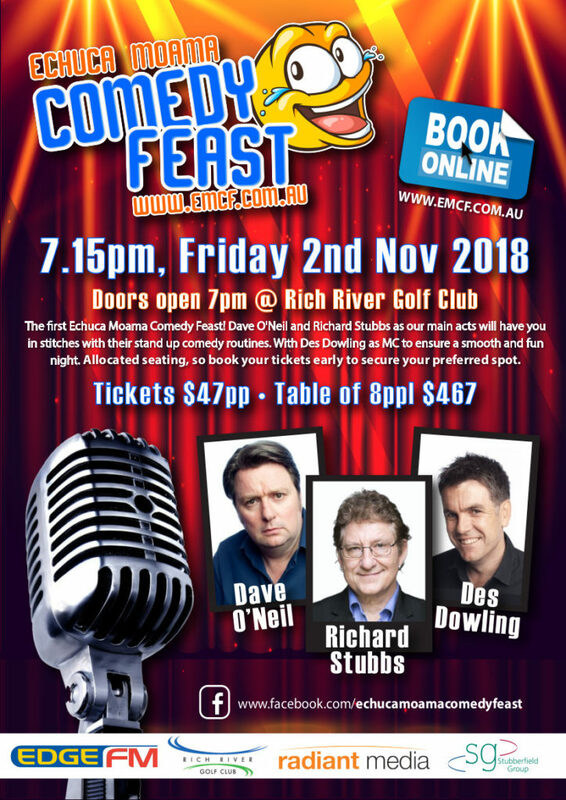 The inaugural Echuca Moama Comedy Feast was a great success. Thank you to everyone to attended and sorry not sorry if you face hurts from laughing too much! We look forward to the 2019 event which will be even bigger and better. Make sure you like our Facebook page and subscribe to our VIP mail list for updates and exclusive discounts.